The 2014 Cancer horoscope predicts that there will not be an event to which you are not invited in the early part of 2014. You will have a happening social life in the coming year. This is because Jupiter is in your House of Personality. There is an opportunity to try options that are new. During October through mid-December your house of love and creativity will be occupied by Saturn. Love will be enhanced. Your work and financial life will be much the same as long as you request any needed help. Spit and polish will make you the most appealing Cancerian you can be. On July 24 you will reign supreme. The possibility exists that you will may meet your life partner, marry or travel, yet you are in control. June 18 and May 6 are also likely to be beneficial days. To keep your love fiery you may need to make an appointment with your spouse to spend time together. Marital life requires effort to be successful forecast your 2014 love predictions. In the latter part of December it is predicted that the Crab will give consideration to weddings and affection. Your mood, thanks to Pluto in your Seventh House may be pensive. It may be hard to face but some of your friendships may no longer be beneficial and you are feeling alone and apprehensive. These changes while difficult permit growth. In 2014 you will know clearly what you need in a soul mate. The partner you select may be unexpected. December 26 may mark a formal recognition of a match represented by a ring; although the actual wedding or commitment may take place in the future. 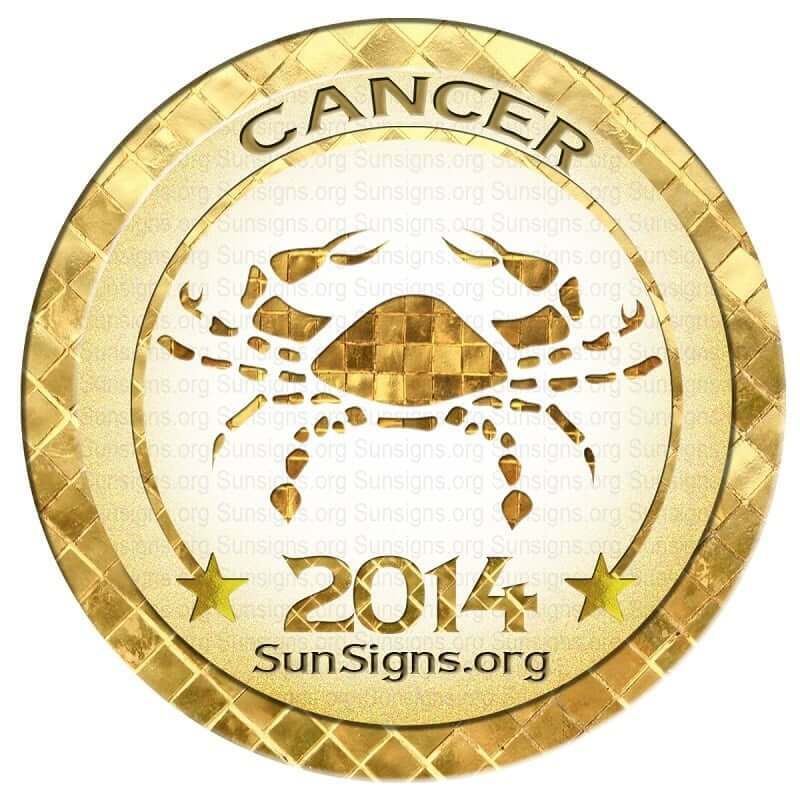 Cancer zodiac individuals who have a family will share a good rapport with youngsters. If you desire children the time is appropriate, or you may acquire children through marriage. Bringing all family members together is difficult but the price is worth it. If you need assistance to complete a task, ask. Most people will help you stay, knowing you require their aid. Is it not complementary to tell someone I know you can show me how to do this better? If you wish to know more about 2015, take a look at the Chinese horoscope 2015. 2014 Cancer finance astrology forecasts that Jupiter entering your house of income in mid-July indicates that you will have good flow of income during 2014. Your honorable light is upon chances but basic actions will also cause you to gain financially. Paying yourself first by saving 10% of your earnings is always wise, even before you cover your expenses. As little as $50 a month can turn you into a wealthy person. You will have extra money in 2014 from many sources. In August a special and valuable gift may be received. Your money requests will be granted thanks to your delightful manner. December may bring the need to exercise restraint in spending. Proper budgeting will save you difficulties. Socially active Cancer has overindulged in all aspects of food and drink. You have been at the heart of good times and your weight is up a bit. Control that weight and overall this year will be good for you. January might be the right time to think about making changes on your career and business front. Do not spend too much of February thinking about family issues. Work is important too. March is a month of social activities. April will be a month when you will become self-independent. May will be a good month for finances. Deal with all personal problems this month. July will be a stressful month for you. Health will be good provided you make effort. August will be an excellent month for love and relationships. Finances will get better in September. Career and love will gradually improve. October will be a volatile month in terms of money and romance. Good opportunities abound in November. Expect guests at home. December will be a month when Cancerians will need to make a few adjustments.